Dhaka was a small rural settlement until the end of 16th century on relatively high and flat land surrounded by flood affected swampy land. The next 400 years – the settlement experienced different rulers of different cultures with a wide range of governance structures, administration, natural calamities, poverty, etc, which eventually transformed the settlement to its present state. Mughals established their capital with a viewpoint to accelerate in trade activities in 1610 –the control went in the hands of The British East India Company in 1757. After India got its independence in 1947, Dhaka was made the capital of the bifurcated province of East Pakistan. With the formation of Bangladesh in 1971, Dhaka underwent drastic changes in its urban structure, serving as the mainstay for the country’s economy. In 1975, around 10% of the country’s population lived in urban areas which increased to 25% in 2003 and as suggested by The United Nations Report, it will surpass 40% by 2030. 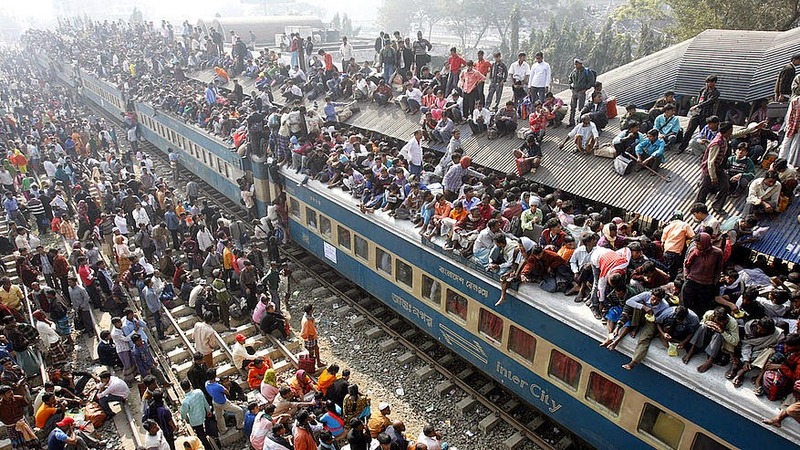 Dhaka holds around 38% of the nation’s total urban population. Dhaka is located in the central region of the flat deltaic plain of the three large rivers, the Padma (the Ganges), the Bramhaputra and the Meghna. The elevation of Dhaka is up to 13 meters above mean sea level. Much of Dhaka and its surrounding areas are prone to yearly floods. Flood prone areas have 2 to 4 meters of flooding for 3 to 4 months. That extends to the edge of the city thus forming a real urban boundary. The area of expansion of Dhaka has been governed by the physical configuration of the landscape in and around the city, particularly the river system and the height of land in relation to flood levels. Dhaka with a population of above 14 million is the world’s most densely populated megacity with a density of around 115,000 persons/sq. mile which is much higher if compared with its counterparts. Mumbai with its closest rival has the density of around 82,000 persons/sq mile with cities like Delhi, Seoul, Mexico, Tehran has less than 1/3rd of Dhaka’s density. With the population set to rise – conditions may be even more drastic. For those in favour of densification of cities and urban spaces should see through another window – from the window of carrying capacity of the environment. The carrying capacity has to be studied properly before applying any such densification policies in any region of the world. Moreover, the basic living human values may tend to get lost with an increase in the density of an area – the surplus population also require their share of social space, open spaces, market spaces which are generally overlooked especially in the developing countries. Dhaka has to look wisely through population density planning not via just physical planning providing infrastructures and other things. The main reason behind Dhaka emerging as one of the fastest growing megacities of Asia is the unequal urbanization of the country. Another major urban issue of Dhaka city developments lies with the administration, authorities and various departments. Multiplicity of organizations and overlapping nature of jurisdictions causes different hindrances due to lack of coordination among them. According to a research, 42 institutions are involved in Dhaka Metropolitan Area with different facets of urban development activities. This is a key issue especially in the South Asian countries and this should be looked by the respected governments and policy makers at the earliest looking at the accelerated phase of urbanization process that is yet to happen in these countries. The coordination and inter-related functions of various authorities should be understood and limitations of isolation planning should be wisely studied at a broad level. 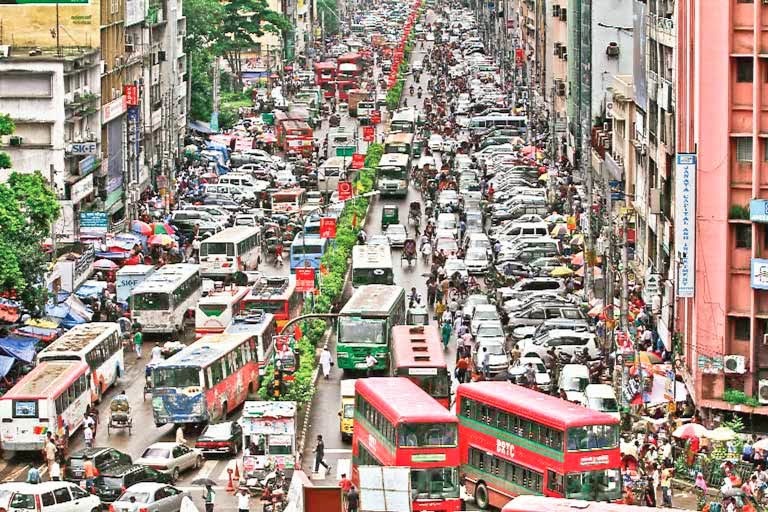 The problems like transportation system, annual floods, lack of awareness, education and poverty which are a set of inter-related factors are also crucial to impart the city of Dhaka with a sustainable future. The satellite towns may be one such provision which may decrease the pressure on the city – releasing pressure from the city in terms of increasing number of migrants and population should be one of the main goals of the urban development strategy of Bangladesh. The government has to understand the significance of cities in the rising complexities of economic development activities and they should come up with some innovative and sustainable design so as to also help attracting global investments besides providing a socially healthy existence to its citizens.